Maj. Justin Manley, third from right, receives the Bronze Star from his commander, Lt. Col. Eli Mitchell, second from left, during a Feb. 13 ceremony at the University of Alabama-Birmingham. 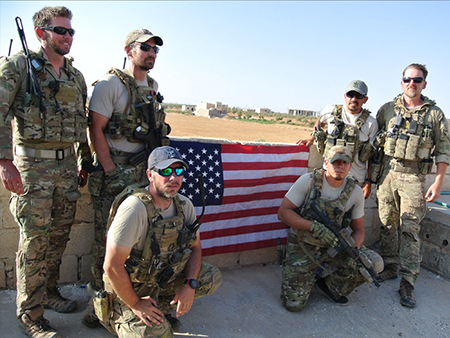 When Maj. Justin Manley (MD 07) and his Special Operations Surgical Team save the lives of traumatically injured soldiers and civilians in the shadow of Middle East battlefields, he’s nowhere near what could pass for a traditional hospital. That’s why he brings his operating room with him. Manley, 40, who completed his general surgery residency in 2012 at the University of Mississippi Medical Center, is assigned to the U.S. Air Force’s 720th Special Tactics Group at Hurlburt Field near Mary Esther, Fla. The Natchez native is the group’s surgeon general, a leadership role he’s earned after several deployments and time on task as a surgeon, both for the military and at the University of Alabama-Birmingham. 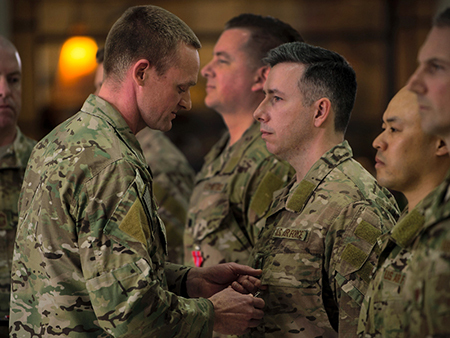 During his first deployment to the Middle East, from May-September 2016 as part of Operation Inherent Resolve, Manley and his team treated more than 750 trauma patients over an eight-week period. Those “life-saving interventions,” Manley said, were intended to keep patients alive until they could be transported to a higher level of care. The team responded to 19 mass casualty events, conducted 16 life-saving surgeries and treated victims of a chemical weapon attack, the Air Force Times reported. Their patients included badly wounded and dying children. For his service during the 2016 deployment, Manley received the Bronze Star, the military’s fourth-highest combat medal for heroism, in a Feb. 13 ceremony at the University of Alabama-Birmingham. Manley’s team included Lt. Col. Benjamin Mitchell, an emergency medicine physician; nurse anesthetist Lt. Col. Matthew Uber; emergency room nurse Maj. Nelson Pacheco; emergency room nurse Capt. Cade Reedy; and respiratory therapist Tech. Sgt. Richard Holguin. Manley, kneeling left, with his team: Tech. Sgt. Richard Holguin, kneeling right, and standing from left, Lt. Col. Benjamin Mitchell, Capt. Cade Reedy, Maj. Nelson Pacheco and Lt. Col. Matthew Uber. Mitchell, Uber and Reedy also received Bronze Stars during the ceremony. The team was earlier lauded in the Air Force’s Portraits in Courage publication. It included a report of a surgical first in a forward wartime environment. “Maj. Justin Manley performed a procedure that placed a balloon catheter through a critically injured patient’s femoral artery into the aorta,” the article said. “The balloon catheter was then inflated in order to stop the bleeding. This temporary measure provided valuable time to stabilize the patient and allowed him to survive en route to the operating room. “Our SOSTs are equipped to perform life-saving battlefield surgery and trauma resuscitation, far forward, to ensure the men and women who make up our military and partner forces make it home alive,” Lt. Col. Eli Mitchell, commander of the 720th Operations Support Squadron, said in an Air Force news release. Manley joined the Army National Guard directly out of high school and graduated from Mississippi College, but separated briefly from the military during college before beginning medical school in 2003. He returned to active duty in 2012 after completing his residency and was assigned to Mountain Home Air Force Base in Idaho as a general surgeon. 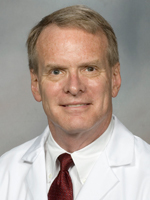 He next was assigned to a Special Operations Surgical Team while stationed at the University of Alabama-Birmingham, where he was a surgeon and faculty member in the trauma department from August 2014-February 2017. He and wife Angie have a 7-year-old son, Henry. Manley didn’t want to be stuck “in air-conditioned comfort,” but instead to serve his country in a combat zone, said Dr. Thomas Helling professor and chief of UMMC’s Division of General Surgery. Helling authored Desperate Surgery in the Pacific War: Doctors and Damage Control for American Wounded, 1941-45, which was partially borne of Helling’s career experience in trauma surgical care and his service in the U.S. Army Medical Corps. The deployment involved, as Manley puts it, “being in a higher threat environment” for about eight weeks of the deployment. “The enemy didn’t directly attack us, but they attacked some locations around us,” he said. “We were under constant fear of attack. Manley was more than ready to do the job, thanks in part to his schooling at the Medical Center. 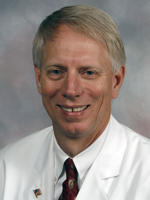 Manley “is exactly the type person you would want by your side during a crisis of any type,” said Dr. Marc Mitchell, professor and chief of the Division of Vascular and Endovascular Surgery, who worked with Manley during his residency. “Without a doubt,” Helling said, Manley’s time in the Middle East was dangerous. “Capture and death were distinct risks,” Helling said. “But superb training and conditioning kept them alert, resourceful, and evasive. I suspect Justin has enjoyed every minute of it. Click HERE to view this story and more, courtesy of UMMC Division of Public Affairs. Maj. Justin Manley is an active member of the Ole Miss Alumni Association. Maj. Manley, Ole Miss thanks you.